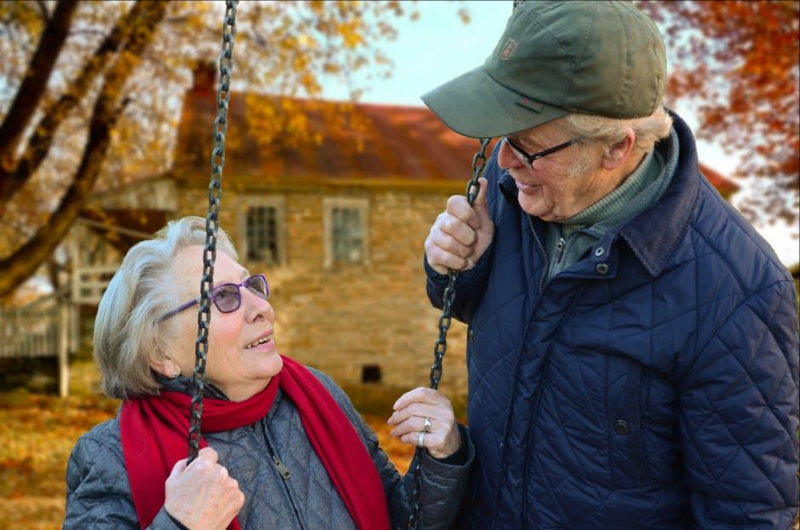 In the past I have talked about the benefits of community living (such as a Continuing Care Retirement Community) for clients in their later years. Most clients love this type of living as it provides a social network, a continuum of care, and advocacy. However, many clients (or their parents) have either decided to finish out their lives in their homes, or this has been decided via a lack of planning. All of us know family members who have aged in place by staying in their home and half of all baby boomers state a desire to age in place. In many cases, the decision for parents to stay at home has required us (or our siblings in closest proximity) to step in to provide help paying bills, filling pill boxes, scheduling/shuttling them to doctors' appointments, providing advocacy, and contacting contractors to handle home repairs, and much more! But what if there is no local family member to provide help, or what if we need help? Thankfully, if aging in place is the plan, there are professional service providers available to assist with meeting the varied needs of aging in place seniors. This professional organization provides information about and a directory of Geriatric Care Managers (also called an aging life care professional). Members are usually nurses or social workers that assess the medical/social/service needs of the individual. They help to recommend and pull together the services of local providers (and/or family members) to meet these needs with the purpose of helping the individual to live as independently as possible. They may assist you with selecting housing, assess your current home environment, or determining what home health care services are needed. At the website link above, you can search for a local member to assist you. American Association of Daily Money Managers (AADMM). Members of this organization provide a range of personal cash management services such as bill paying, mail sorting, balancing the checkbook, making bank deposits/withdrawals, organizing tax information, etc. At the website, you can search for a member to provide assistance. I have met with a local member and owner of Final Business Matters that not only provides typical services (like the ones mentioned above), but is also able to assist executors with closing and administering an estate. The Elder Protection Center is a resource that The National Elder Law Foundation website allows the ability to search for Certified Elder Law Attorneys who provide seniors with legal advice most relevant to them. This may revolve around advanced directives, asset protection, and Medicaid/Medicare planning. helps the families of the elderly to manage the complexities and concerns that often come with struggling to help their aging parents. They provide help in the areas of elder abuse, neglect, and other issues facing your older loved one. But What About Help with the Home Itself? The one big piece missing is assistance in maintaining or adapting the home. This may be to ensure the home (and its value) is maintained or to modify the home to accommodate mobility to suit the particular needs of the senior. Doing so can make the home nicer, and also reduce the likelihood of injury due to falls and trips to the emergency room. Worse, falls are the leading cause of "death by injury" for the elderly. This could involve installing grab bars, accessible switches, widening doorways, or putting in a chair lift or ramp. I have a client who is in the business of helping seniors stay in their home as long as possible by providing ongoing home maintenance, improvements, and remodeling (as needed). The company is called Home Ideations. They are local professionals that offer complete residential Property Maintenance Management services to allow clients to live in their home knowing EVERYTHING is cared for through a trusted, single point of contact. This may be a desirable service for those who plan to age in place, but it can also be an affordable and desirable alternative to moving. Home Ideations can assist in making informed decisions on a range of housing options and provide home modifications, including mobility and aging in place upgrades designed to improve home equity.